"Dear CVC Productions, Great job on the video transferring my Hi8 tape! I certainly appreciate all the help and have enjoyed doing business with you. You will certainly be kept in mind for future projects. Thanks again, and take care." 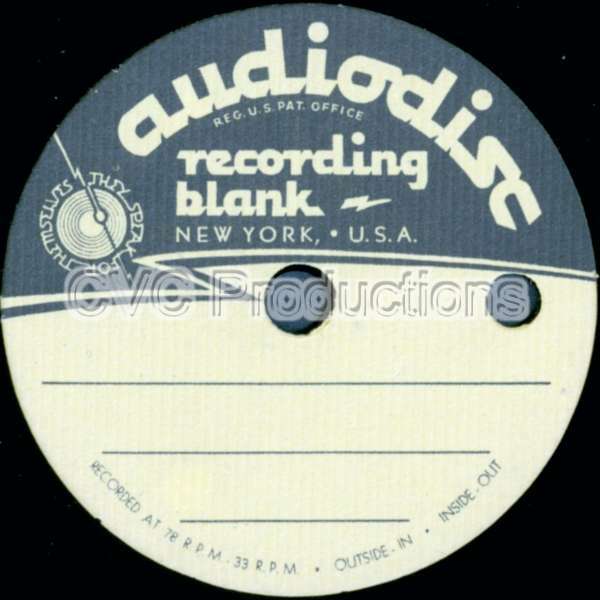 Audiodisc Recording Blank Record is one of the Home-Made-Records (custom made records, automat machine records) we have received and processed at our studio. Do you have a similar one? When you're ready to order your transfer, here's the link: home-made-records transfers.